On 19 March 1938 Mexico submitted a note of protest to the League of Nations against the annexation of Austria by Nazi Germany (known as “Anschluss”). At that time Mexico was the only member of the League of Nations to issue a written protest. 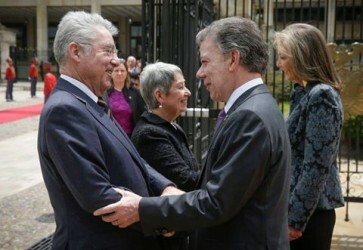 Austria’s Foreign Affairs Ministry has re-opened its embassy in Bogota, Colombia, after four years. Bank of China, one of the 5 biggest state-owned commercial banks in China intends to open its first branch in Vienna in the near future, as its Chairman Tian Guoli recently said while visiting Vienna. Federal President Dr. Heinz Fischer, Foreign Minister Sebastian Kurz, Minister for Agriculture, Forestry, Environment and Water Management Andrä Rupprechter and Minister for Education and Women’s Affairs Gabriele Heinisch-Hosek were in New York on the occasion of the leader’s week opening the 70th General Assembly of the United Nations (UNGA). Austrian President Heinz Fischer is the first European head of state to visit Iran following the successful conclusion of nuclear talks between the Islamic Republic and the P5+1. "I'm not convinced that a closure that comes from Austria, is the right move," the President said on the sidelines of the meeting with religious leaders in the subsequent press conference. More than 10,000 people gathered in Vienna as part of the commemoration of the victims of the terrorist attacks in Paris. 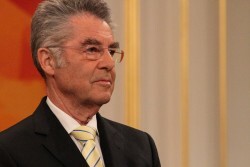 After intensive testing, together with the former President of the Constitutional Court and current adviser to the President, Prof. Dr. Ludwig Adamovich, Federal President Heinz Fischer has decided to carry out the notarization of the adopted bill and thus clear the way for review by the Constitutional Court. From June 30 through July 1, the Austrian President Heinz Fischer together with his wife Margit Fischer and an Austrian Business Delegation is on an official visit to Estonia. 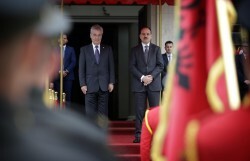 Austrian President Heinz Fischer was paying a visit to Western Balkan States. 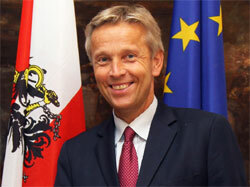 The Czech Minister of Foreign Affairs Lubomír Zaorálek is visiting Austria tomorrow. 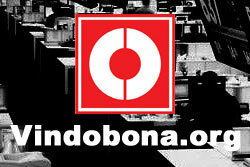 According to the Finance Minister, an investigation committee would only worsen the negotiation position with BayernLB. 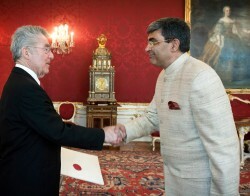 Ambassador Rajiva Misra presented his credentials to Dr. Heinz Fischer, the Federal President of Austria on 14th March and took charge as India’s Ambassador to Austria and Montenegro, and Permanent Representative of India to the International bodies in Vienna. After the ongoing dispute about administrative posts Romania is left without a government. 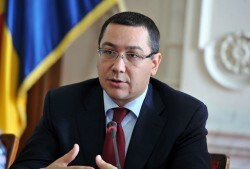 Moreover, the opposition calls for Prime Minister Viktor Ponta’s resignation. At the New Year Reception for the diplomatic corps in Austria, President Heinz Fischer called upon the strict compliance to human rights. 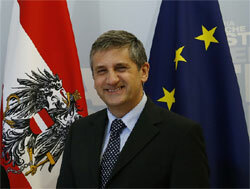 In 2014, Austria will not achieve its fiscal objectives, new Minister of Finance Michael Spindelegger admitted. 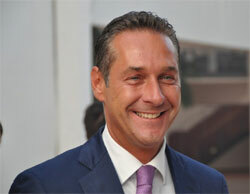 Austria´s fiscal situation is observed critically. The country faces a new austerity package. In an interview with Austrian daily “Kurier“ Chancellor Werner Faymann rejects the idea of early elections and underlines that there were no unsolvable issues. Today Deputy Chancellor Michael Spindelegger has reported to President Heinz Fischer about “difficulties” in the coalition negotiations, as announced by Spindelegger publicly. 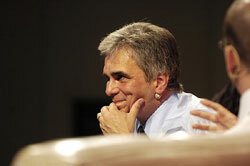 Chancellor Werner Faymann rejects the opposition’s claim that Austria is on its path to national bankruptcy. 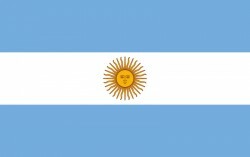 It has been two months after since the coalition negotiations started after the elections for the National Assembley. However, there has been not visible progress. Ambassador Alexa Lange Wesner presented her credentials to Dr. Heinz Fischer, the Federal President of Austria on 22nd October 2013 and took charge as U.S Ambassador to Austria. President Heinz Fischer has confirmed his wish for the formation of a grand coalition as this would be “the most reasonable solution”, according to him. Other possibilities were afflicted with too many uncertainties. After the allegedly forced stop of in Austria, Bolivian President Evo Morales has returned to his home country. International criticism arises, also in regard to Austria’s actions. 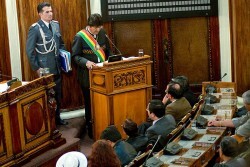 Bolivan President Evo Morales had to land in Vienna after several European countries – among them Spain, France and Portugal – refused the right to overfly. After the recent turbulances within the Austrian government coalition, Chancellor Werner Faymann hopes to find an agreement with the EU concerning the bank secret until May 22. 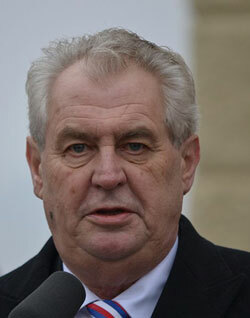 New President of the Czech Republic Milos Zeman is going to visit Austria with his wife Ivana Zemanova on Tuesday and Wednesday. The EU has declared the year 2013 to be the “year of citizens”. The citizens of the EU should become aware of their European identity and their rights that come along with it. 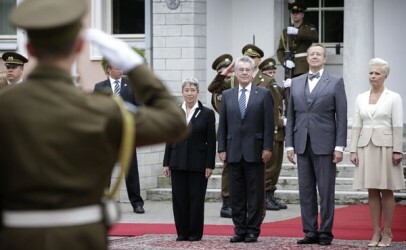 The Austrian President Heinz Fischer has started his state visit in Argentina. According to the Czech President Vaclav Klaus, his Austrian counterpart Heinz Fischer and the President of the Austrian Chamber of Commerce Christoph Leitl, the bilateral trade relations are expandable. 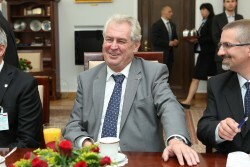 Today, the Czech President Vaclav Klaus has met his Austrian counterpart Heinz Fischer in Vienna. The commonalities are rather small. Today, the Kazakh President Nursultan Nazarbayev was received by the Austrian President Heinz Fischer. 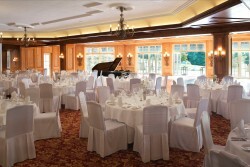 The Austrian industry hopes for orders worth € 500m. On the occasion with a meeting between the Bulgarian President Rosen Plevneliev, the Austrian President Heinz Fischer and Lower Austria´s governor Erwin Pröll, Plevneliev underlined the importance of Austrian investors for Bulgaria. Reinhold Lopatka (Austrian People's Party - ÖVP) was sworn in as State Secretary in the Austrian Federal Ministry for European and International Affairs today by Austrian President Heinz Fischer. Austria´s Federal President Heinz Fischer thinks that the exclusion of certain member states out of the Eurozone is “highly problematic”. 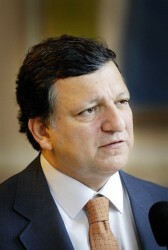 In two or three years, the crisis in the Eurozone is managed, he believes. The Austrian President Heinz Fischer met his Armenian counterpart Serzh Sargsyan. Both heads of states agreen on deepening economic and cultural relations. The biggest Austrian opposition party warns of giving up the sovereignty. 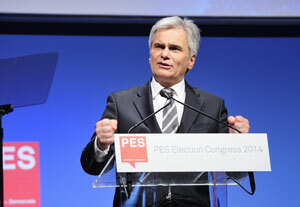 Together with the smallest opposition party BZÖ, FPÖ will vote against ESM. Slovakia wants to introduce bank taxes. 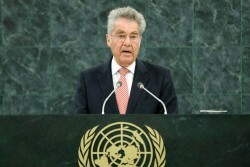 Austria´s Federal President Heinz Fischer, who met his Slovakian counterpart Ivan Gasparovic, does not have objections. 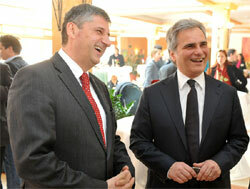 Federal President Fischer and WKO´s President Leitl accomodated the Cypriot-Austrian Business Forum. 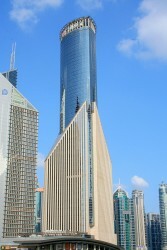 Economic relations show potential for expansion and further development. Swiss parties are against the tax agreement with Austria. The social democrats and the Swiss People´s Party oppose the plan.